Well, 2018 has come to an end. January and February are always good months to add some of the latest software to your laptop or desktop. How about adding a new video editor to Windows in 2019? Video editors are essential for those who record lots of footage with cameras. Having recorded a video, you can edit and refine the final output with video-editing software and export it to numerous file formats for playback on various devices. 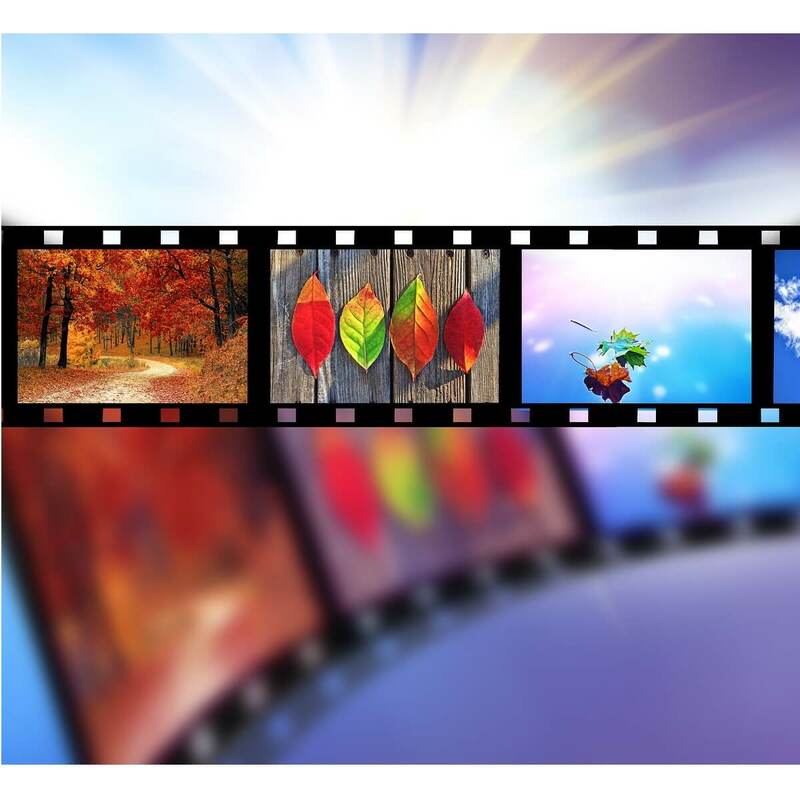 Most standard video editors include timelines that display linear layouts of videos, transitions and effect options, themes and templates and text options for adding titles and credits to footage. However, the best video editors also include audio mixer, video stabilizer, motion tracking, masking, multi-cam module and 3D video-editing tools. 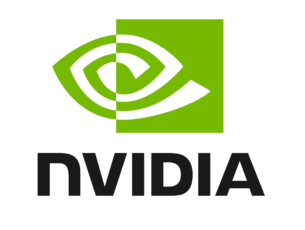 They are also compatible with the latest 4K, 8K and 360-degree video technologies. These are some of the best Windows video editors for 2019 that include most of those tools. 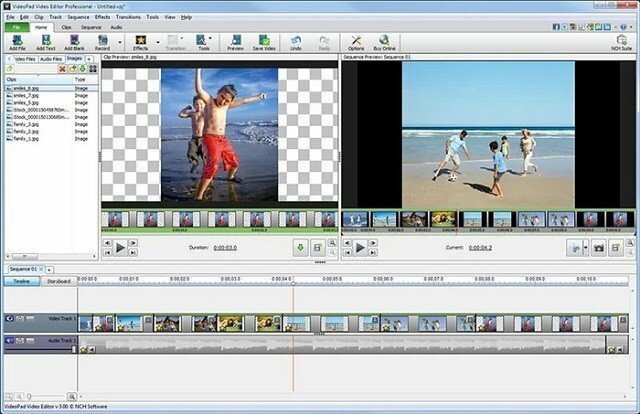 What are the best PC video-editing tools to use in 2019? CyberLink PowerDirector 16 is one of the most highly rated prosumer video editors for Windows 10/8.1/8/7 that’s compatible with all the latest video technologies. It’s an ideal choice for both novice and professional users who need a full suite of video-editing tools. There are separate PowerDirector 16 Ultra and Ultimate versions, which are retailing at $73 and $79 on Amazon. PowerDirector 16 Ultimate has more templates and effects, but aside from that there isn’t much difference between the versions. PowerDirector 16 has all the editing tools you’ll need. You can add plenty of templates and effects & transitions along with titles and credits to videos with the software‘s design tools. The editor includes design tools for fusing video clips together, overlaying animated objects and even setting up video collages. PowerDirector 16 also packs in an audio mixer, video stabilizer, chroma key, MultiCam Designer module, 360-degree video and motion tracking editing tools. PowerDirector 16 supports all the latest formats for both importing and exporting video. This software is 4K compatible and enables its users to export 2K and 4K videos to 15 file formats. PowerDirector 16 users can select to upload their videos directly to six social media and video websites, such as YouTube and Dailymotion. Furthermore, the software incorporates both DVD and Blu-ray authoring so that you can add videos to CD, DVD or Blu-ray discs. 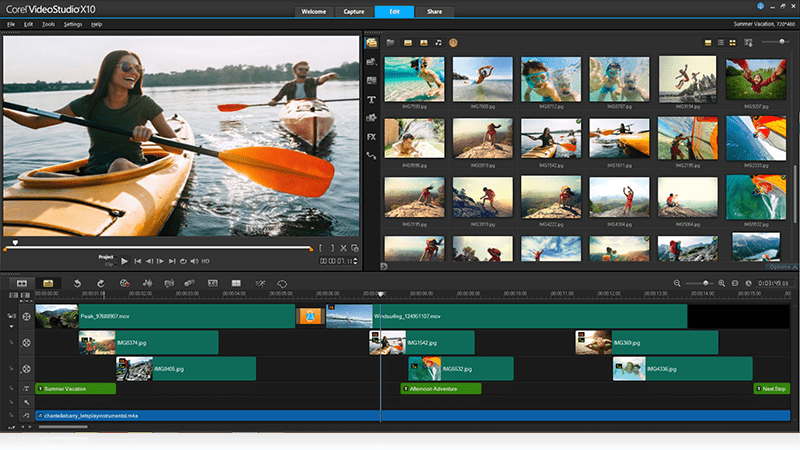 Wondershare Filmora9 Video Editor is a simple but powerful video editing software, which makes it perfect for both first-time users and professional video editors. The application has a simple to use interface that allows you to combine audio, video and various effects. To create your own videos, you just have to drag and drop your media files to the timeline to combine them. To make the editing process faster and simpler, the application already has a number of available audio, text, transitions, filters, and overlays available to use out of the box. If you need more effects, transitions or audio files, you can always download them from the Effect Store. It’s worth mentioning that Wondershare Filmora9 Video Editor can work with up to 100 video tracks, so you can create complex videos. Of course, the application offers fast export and import of videos, so you’ll easily import media or save your creations. There’s also full 4K support, so you’ll be able to create crystal clear videos with ease. In order to provide you with smooth user experience, the application supports real-time rendering, so you should be able to easily render 4K videos. The application also has improved video stabilization, which is perfect if you’re editing clips that are filmed outdoors or without a tripod. In addition to stabilization, there’s improved chroma key support, so you’ll have an easier time working with green screen. As for audio, the application has support for up to 100 audio tracks, so you can easily organize background music and audio effects. As for additional features, there is keyframing, noise removal and equalizer. In addition, there’s an audio mixer available, so you can easily adjust audio and video volume. As for exporting, you can choose between many popular video formats, and you can even customize settings for each format. This allows you to easily change your encoder, resolution, bitrate and other settings. Of course, you can also export your videos directly to YouTube or Vimeo or burn them to a DVD. 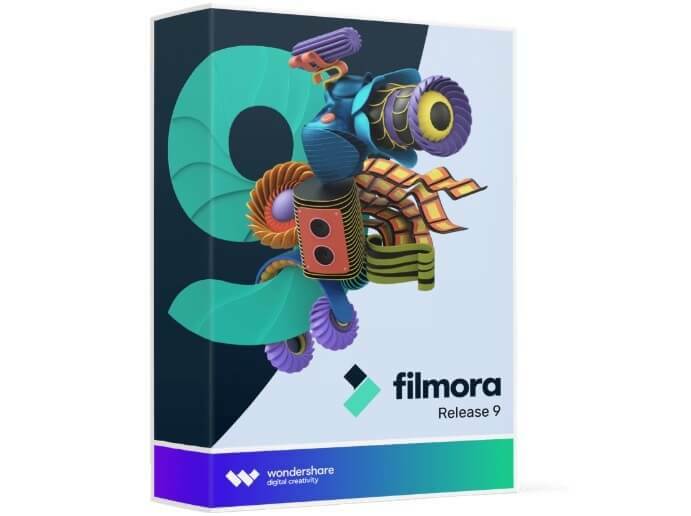 Overall, Wondershare Filmora9 Video Editor offers incredibly simple and sleek user interface, and with a wide array of effects, transitions and audio files, it will be perfect for both first-time and professional users. Adobe Premiere Elements is a non-subscription alternative to Premiere CC that simplifies video editing for its users. As such, this is a more economical Adobe editor that’s currently retailing at $59 on Amazon, which is great value for a top-notch editor. 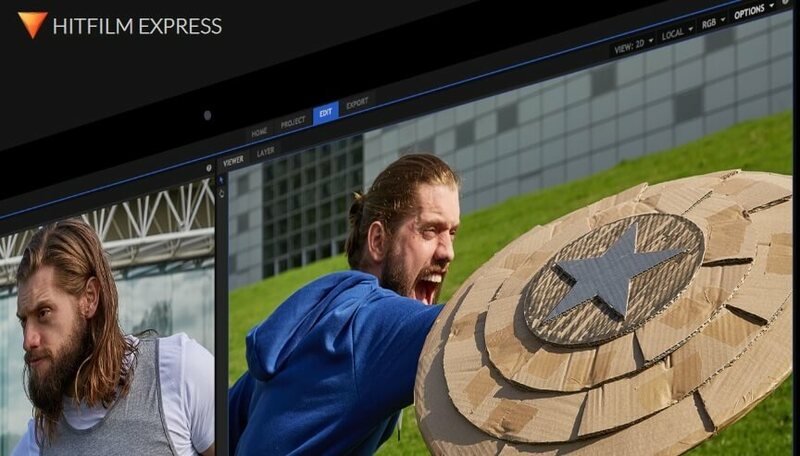 Adobe has already released a 2019 version of Premiere Elements that includes new tools for extracting images from footage, adding motion titles to frozen frames and adding bounce-back effects to videos. 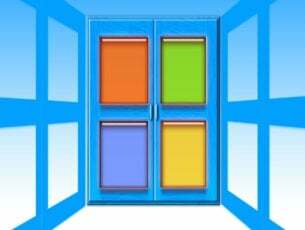 The software is compatible with 64-bit Windows 10/8/7 and Mac OS platforms. Adobe Premiere Elements 2019 provides Quick and Guided editing modes for more straightforward video editing. In Quick mode, you can simply select the media to include for Premiere Elements to arrange on the video timeline. You can add more than 400 transitions, effects and objects to footage when editing in Adobe Premiere Elements. Elements users can apply video stabilization, add more contrast to landscape videos with Dehaze, replace solid colors in footage with images, drop their videos into templates, insert objects into footage, edit 3D videos and apply effects to moving objects. 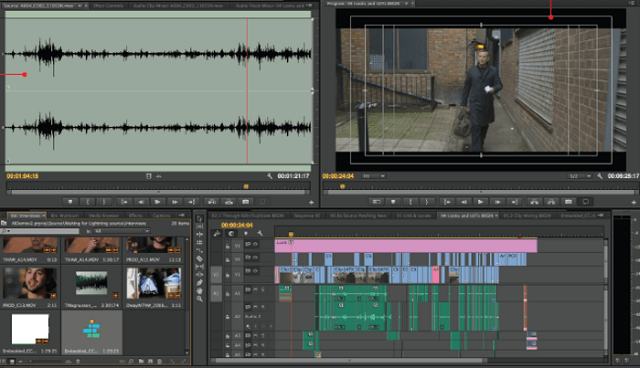 So there are loads of editing tools at your disposal in Premiere Elements. Premiere Elements 2019 also scores highly for export and production. You can export videos to about 19 file formats and add them directly to YouTube, Facebook and Vimeo from within Elements. The software enables you to set up DVD and Blu-ray discs for your videos with customized menus and themes. 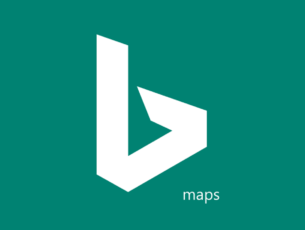 You can also select to optimize videos for mobile and TV playback. 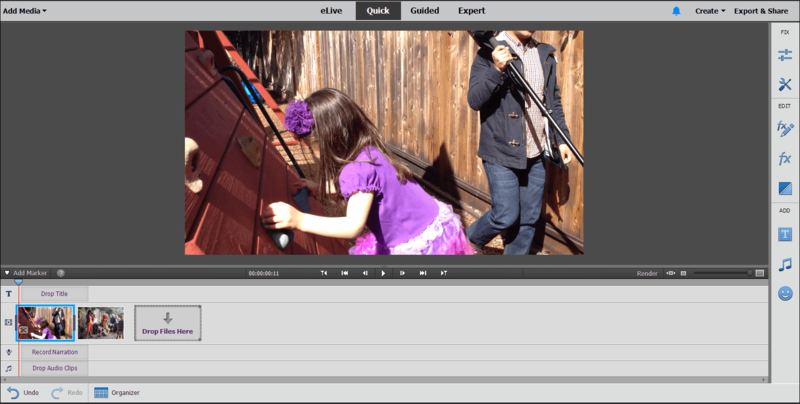 HitFilm Express is a freeware video editor and VFX package that’s ideal for indie filmmakers and YouTube enthusiasts. You can add lots more special effects to videos with HitFilm Express than most alternative software. Although this is freeware the software‘s add-ons are not freely available, and there’s also a $349 HitFilm 4 Express Pro that includes all the add-on packs. You can add HitFilm Express to Windows 10/8/7 by clicking Get Hitfilm Express Free on this website page and then sharing your download on a social media site. HitFilm Express is an editor with some revolutionary effects that will transform your videos. The freeware version boats more than 180 visual effects. You can just add more basic transition effects, but HitFilm Express also enables its users to add pre-built 3D effects, customizable lens flares, gunfire effects and temporal effects to their videos. This editor also boasts both 2D and 3D compositing so that you can combine different visual elements from alternative sources into video sequences. Even if you don’t need to create hollywood blockbusters, you can still refine and fine tune your videos with the software‘s timeline editor that offers an unlimited number of tracks. VideoPad is a lightweight editor with which you can edit and export both 2K and 4K videos. This is among the best budget video editors for 2019 that’s currently retailing at $29.99 on the publisher’s site, but the software is freely available for non-commercial usage. The $49.99 VideoPad Master’s edition is compatible with external VirtualDub plug-ins. You can add this editor to Windows (XP to 10), Android, Kindle and Mac OS X platforms by clicking the download links on the software‘s homepage. VideoPad might lack some of PowerDirector 16’s more advanced tools, but it has still got all the essential tools you’ll need for video editing. The software enables you to import footage from almost any kind of input device, apply more than 50 stunning visual effects, adjust the playback speed, add new images to video sequences, add titles and credits to footage with various fonts and styles, import music tracks, add sound effects and record your own narrations. VideoPad also boasts a few advanced editing options for video stabilization, 3D editing and motion tracking. VideoPad offers a decent selection of device optimization profiles for exporting videos. The software enables you to optimize and export output for a wide variety of devices, such as PSP, iPod, iPhone and 3GP mobiles. VideoPad users can also export their videos to DVD, Blu-ray, HD-DVD or CD or add them directly to the YouTube, Flickr and Facebook websites. Corel VideoStudio Pro X10.5 is a user-friendly video editor that’s ideal for casual users. The latest version is also one of the few editors that includes tools for editing 360-degree videos. VideoStudio X10,5 Pro and Ultimate are two alternative versions of the software that are retailing at $39.99 and $49.99. Corel VideoStudio Ultimate X10 includes a premium special effects pack and a Mask Creator tool, but aside from that there’s little difference between the versions. Corel VideoStudioPro X10.5 is a good choice for novice users as it includes the template-based video creator FastFlick, which can automatically set up a video from your clips, and an Instant Project tab that you can quickly set up finished videos with. The software provides you with more than 2,000 transitions, effects and animated titles. It includes a plethora of invaluable editing tools such as its multi-camera for syncing multiple footage, motion tracking to apply effects to specific moving subjects and chroma key for adjusting backgrounds. VideoStudio Pro X10.5 users can also balance audio levels between clips and lower background sound with the editor’s audio tools. This editor has plenty of output and sharing options. The software‘s MyDVD disc authoring tool enables you to export clips to DVDs with themed templates. You can export videos for playback on Apple TV, iPad, Xbox and other devices. VideoStudio Pro X10.5 also enables its users to set up AVCHD 2.0 videos for SD card output. There aren’t many full-fledged video editors available on Windows phone platforms. However, Movie Maker 8.1 is one full video-editing app that Windows 10 and 8 mobile users can edit their camera footage with in 2019. The app is retailing at $1.49 on this page, which is a real bargain for an editor that now supports UHD-4K videos and has plenty of editing tools. Movie Maker 8.1 enables you to edit WMV, MP4, MOV, 3G2 and M4V files. The app provides frame grab, crop, split, detach audio, trim, copy, merge and delete and other editing tools for its users. You can add effects, transitions, customizable titles and new recorded audio to footage with the app. Movie Maker 8.1 also includes handy MP3 tools for composing, extracting and compressing MP3s. 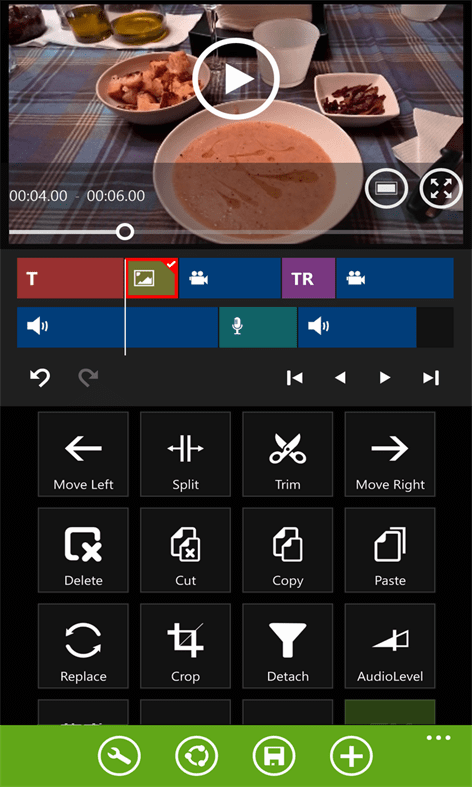 So this is probably the most comprehensive Windows phone video editor app. Adobe Premiere Pro is another of the industry standard editors with which you can edit almost any type of video format, including 8K and virtual reality. Unlike Premiere Elements, the latest Premiere Pro CC version supports multi-cam and 360-degree editing. The software has a $19.99 monthly subscription, and for that you also get plenty of regular updates and Adobe Media Encoder. You can run the software on 64-bit Windows 10/8/7 and macOS platforms, and you’ll need at least eight GB RAM for it. 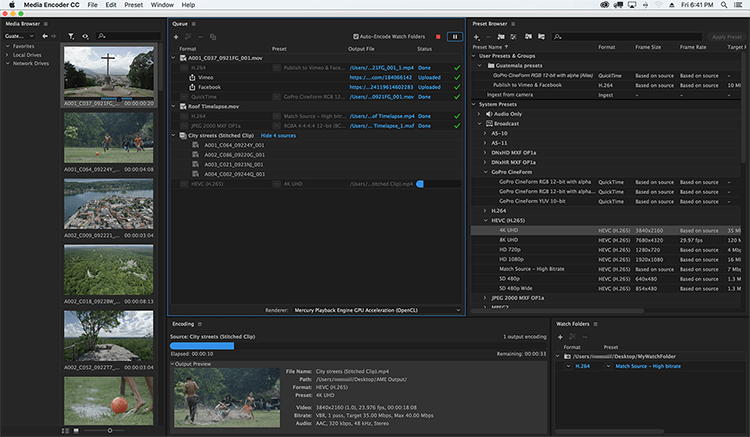 Adobe Premiere Pro CC includes a huge toolset for editing all the latest video formats in 2019. Premiere Pro probably has the most comprehensive video and audio format support of any editor, and its users can import footage from almost any type of recording device. The software doesn’t include the widest selection of transition options, but you can always add more with additional plug-ins. This is one of the best editors for multi-cam editing as it accommodates any number of angles. Premiere Pro’s Lumetri Color Tools provide a huge amount of scope for adjusting colors in footage. CC also includes extensive text options and a great selection of fonts for adding titles and captions to footage. Premiere Pro does include its own export options, but it also comes with the Adobe Media Encoder package. That provides Premiere Pro CC users with wide variety of presets optimized for various output formats. You can configure your own presets if AME doesn’t have one you need. Furthermore, you can also export videos to DVD and Blue-ray and share them on Twitter, Youtube, Vimeo and other sites with AME. While not as popular as some of the tools listed above, DaVinci Resolve is a feature-rich video editor that deserves your attention. DaVinci Resolve 15 perfectly combines offline and online editing, color correction, audio post production as well as visual effects. Yes, all these features are available in one tool. The software is perfect for collaboration purposes. You can easily edit your videos and instantly share the results with the whole team. There is no need to export files or use a third-party tool to do that. DaVinci Resolve supports multiple editors, assistants, colorists, VFX artists and sound designers. The best part is that everybody can work on the same project at the same time. DaVinci Resolve 15 is suitable for advanced and professional users only. 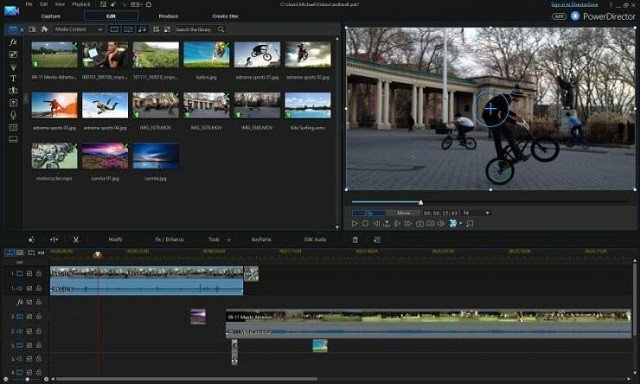 Those are 8 must-have video editors for 2019. Of those, PowerDirector 16, VideoStudio Ultimate X10, DaVinci and Adobe Premiere Pro CC probably have the most comprehensive editing toolkits. Check out this software guide if you need a more lightweight video editor with minimal system requirements. Editor’s Note: This post was originally published in December 2017 and has been since updated for freshness, and accuracy.